Mark Webber has warned his Red Bull team they must improve after losing the last two races to Ferrari and McLaren. Sebastian Vettel has a 77-point lead in the drivers' championship, but the reigning champion could only manage fourth in Sunday's German Grand Prix. "We need to improve the car on Sundays," said third-placed Webber. "It's been brewing for the last two races, we need to address it soon. The last two races we've been done and we've not had much to punch back with." Webber started from pole position at the Nurburgring but lost the lead to eventual race winner Lewis Hamilton heading into the first corner. The 34-year-old Australian was involved in a tense battle with Hamilton and Ferrari's Fernando Alonso for the first two stints but struggled to keep in touch with the pair after the second round of pits stops. And Webber is determined that Red Bull are in better shape in time for the Hungarian GP next weekend. "We got beaten fair and square at Silverstone too," added Webber, referring to Alonso's victory in the British Grand Prix two weeks ago. "This is the second race we've been beaten. Is it the form for the second half of the championship? It's difficult to say. We're going to a track next weekend which should be better than this track for us. "We've got company on Saturdays, and Sundays are more than a handful for us. "I think we were more dominant last year [when Vettel won the drivers' title at the last race of the season] but this year we've always put things together and have been there at the end. "Last year we were probably more dominant, it's just that Seb had a good run this year." And Vettel admitted he was not satisfied with his car's performance in Germany. The German, who has never won his home grand prix, started from third on the grid - his worst qualifying performance of the season - and battled hard with Alonso during the opening few laps. But he never really recovered after spinning on lap nine after touching the white line coming down into Turn 10. He ended the race fighting with Ferrari's Felipe Massa for fourth and he managed to come out on top by leapfrogging the Brazilian in the pits on the penultimate lap. "I think fourth was probably our maximum today, which is not satisfying," said the 24-year-old, who has only won one of the last four races after winning five of the first six. "We need to work harder on our car to get back on to the podium, and maybe on to the top step again. "We have to accept that today other people were quicker than us, and surely I'm not happy, I'm not satisfied. 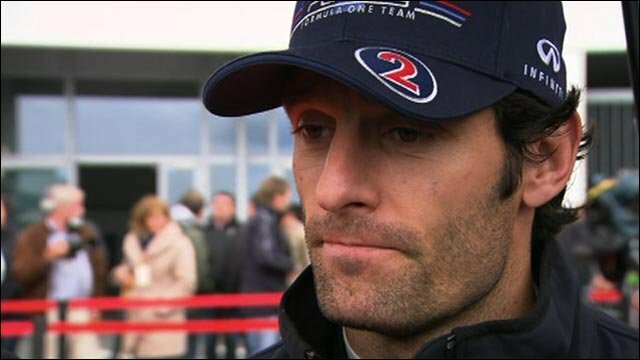 I didn't feel too good all weekend, I never got to the pace Mark [Webber] had in his car." Team boss Christian Horner admitted there was work to do before Hungary but was happy with the points his drivers were able to pick up. "Seb has not found a balance with the car that he was particularly happy with," Horner told BBC Sport. "He had that spin which flat-spotted the tyres. "But his pace picked up dramatically in the second half and ultimately his race came down to a pit stop against Massa at the end but as always in F1 there is work to do. "We have to attack every single weekend. Seb is not looking at the leaderboard, he is conscious of it but on a weekend where he hasn't been the stand-out quickest driver, obviously consolidating and picking up those points on a bad day is not too bad."